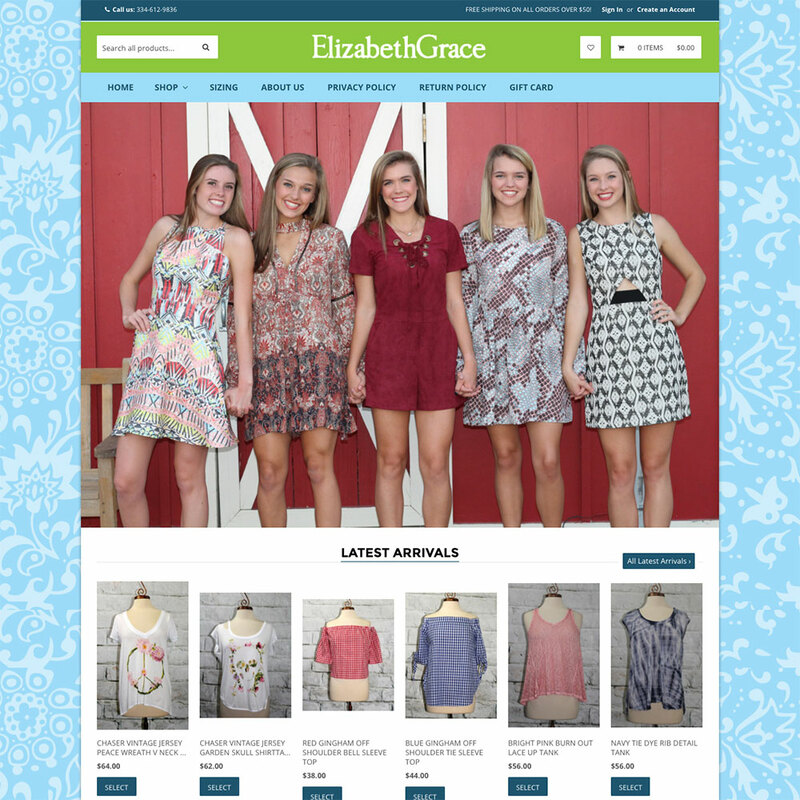 ElizabethGrace is an online boutique based in Montgomery, Alabama. ElizabethGrace offers the flexibility of shopping from home, at an event or a personal shopping experience by appointment. ElizabethGrace creates a unique shopping experience by offering not only looks your daughter will love, but so will you!